Spanish wines are among the most appreciated in the world, together with the French and Italian ones. If a foreigner interested in a country and its culture thinks about Spain and its wines, Rioja and Ribera del Duero will immediately come to their mind, as they are two famous areas speaking of this cultivation. Nevertheless, the Valencian Community also has some wines with certificate of origin, which are successful and appreciated among the experts. A way to get to know better the region is taking a walk outdoors and far from the city. In the Valencian Community there are three accepted certificate of origin: the C.O. Alicante, the C.O. 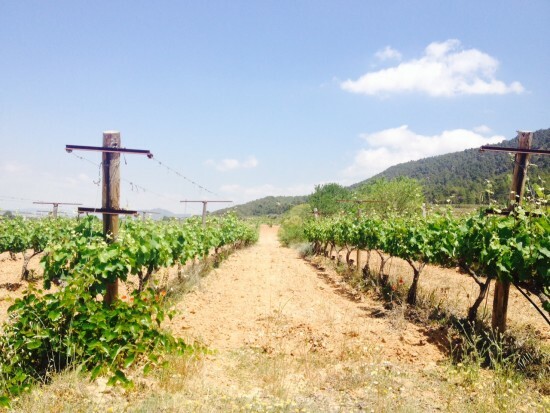 Utiel-Requena and the C.O Valencia, together with the protected geographical indication of Wines of the “Tierras de Castellón”. The grapes that predominate in this area are, among the red ones, monastrell, garnacha, bobal and syrah; and among the white, merseguera, malvasía, chardonnay and macabeo, from which is created the tasteful Valencian sparkling white wine. Specifically, the wines of Alicante are located on both sides of the river Vinalopó, where they produce young and white wines and also the sweet ones, like Moscatel in the Marina area. Valencia C.O. 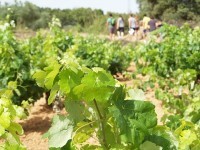 vineyards are located in Alto Palancia, in the northern part of the regions Serranos , Camp de Turia and Hoya de Buñol, and in the triangle formed by the municipality of Font de la Figuera, Moixent and Ontinyent. Lastly, the C.O Utiel-Requena, located in the western inner land of the Valencian province, stands out for its important red wines. The most important cellars of all the previous C.O. organize free guided tours of their vineyards, they will lead you through the vineyards and will explain in detail how the wine is elaborated, every aspect of the production and then, at the end of the visit, they will let you taste the different wines. It’s a unique opportunity to go on a trip and spend a whole day away from the pavement and to get to know new aspects of the Spanish culture, moreover you can see unexpected landscapes, something more than sun and sand. Here you can plan another good trip. 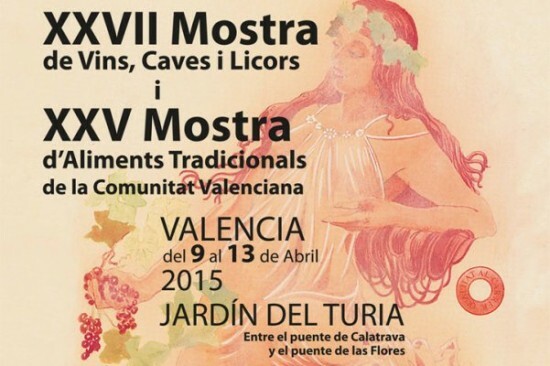 During this long weekend, very close to the city, we will celebrate the XXVII Wine, Cavas and Spirtis show of the Valencian Community (from 9th to 13th April) in the old riverbed of Turia, between the Las Flores and Calatrava bridges. Together with this fair there will be also the Traditional Food Fair, which is the perfect match to spend a great time tasting the typical food and wines of Valencia. Every day, from morning to evening, you can taste wines, cavas (Spanish sparkling white wine), cheeses, jams, oils, cold cuts and even fritters. Moreover you can have a good time listening to cool Valencian bands. The hashtag to share the experience in the social networks is #mostraVA2015. In Taronja School they know that you cannot learn Spanish just studying on the books and in classrooms, that’s why they encourage these activities, so that the students can learn the language through cultural and everyday life events, through activities linked to cuisine and social activities.